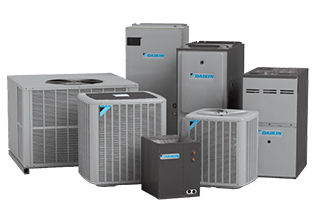 We carry a complete line of heating, cooling and indoor air quality products at All Seasons Air Conditioning – all equipped with innovation that raises the standards of comfort, reliability, and efficiency. As a proud Carrier, Mitsubishi, York, and Daikin dealer, we guarantee a comfort that you and your family can count on for years. We have a wide variety of comfort systems to choose from. Our heating and cooling systems have high SEER and HSPF ratings that guarantee efficient operation all year round. Whether you need boilers, furnaces, heat pumps, ductless heating, and cooling systems, central A/C, rooftop units, or chillers, you can count on us. We also offer IAQ products including air purifiers, ultraviolet air purifiers, air filters, home air cleaners, whole-home humidifiers and air ventilators which are effective in keeping a healthy indoor air in your home. Talk to our experts and let’s find what’s best for your space. 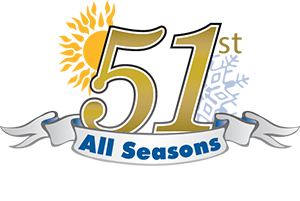 For more than 51 years, All Seasons Air Conditioning has been providing reliable comfort solutions to thousands of commercial and residential places on Long Island and surrounding areas. Our goal is to continually offer each home and business a comfort that responds to their heating and cooling demands while staying within budget. Browse through our broad range of heating, cooling, and IAQ products to find the system you’re looking for or call our experts to help customize a solution that fits your unique needs.